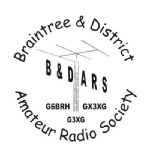 See "Meetings and Dates" page for latest club events, etc. Don’t forget club net is held on every 2nd and 4th Monday of each month (excluding Bank Holidays). Over the last few nets we have been having an increase in the amount of members taken part. Back issues of the BARSCOM club magazine can be found here. This year the Founders Shield was awarded to Edwin G0LPO for his contribution to the club in 2017/2018 organising club nights, TX Factor and more. 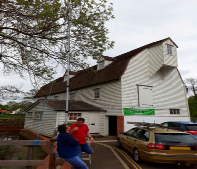 Alderford Mill Sible Hedingham for mills on the air. 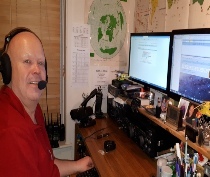 we used DMR and Data Mode FT8. 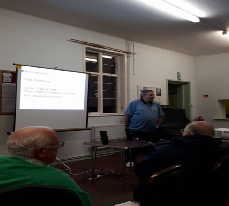 BADARS would like to thank Matt G6WPJ for his talk on Digital Voice Using speech coding Codec 2. Matt also has his own blog http://g6wpj.blogspot.com. Essex & Herts Air Ambulance. 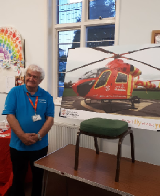 Roger gave a talk to the club on the two air ambulances currently used around Essex and Hertfordshire. 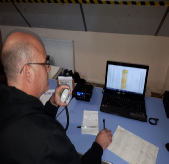 These cost a great deal of money to keep running every day of the week and with a daily cost of about £17’500 every penny is needed to keep this vital service running. Why not support the Essex & Herts Air Ambulance and do there Lottery or simply give a gift. 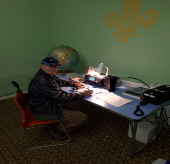 21st to 22nd October with the Halstead and Colne Valley Scouts. 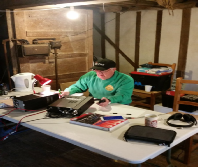 using the call sign GB1HCV. 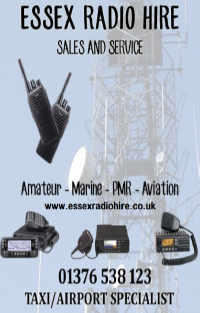 This was the first time we had used DMR via GB7HA repeater for JOTA. 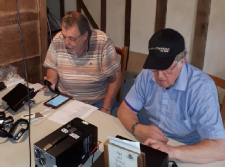 DMR was operated by Neil M0NAS and Colin M6NCU during the weekend and over 40 contacts made in different coutries via this mode including England, Scotland, Ireland, Germany, Canada and Ben N6ELF in Pearland 7850km away in the USA. 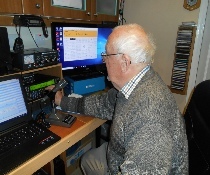 HF was operated by Melvin G0EMK over the weekend making contacts in Russia and a special call sign in Budapest Hungary HG500T. 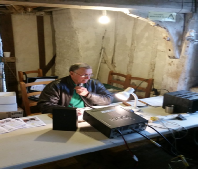 Several contacts made by Geoff G1GNQ via 2m on the Saturday even though being stationed in a valley made this difficult. 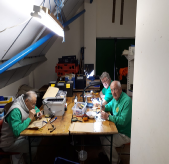 While all the operating was going on Edwin G0LPO, Neville G8CDG and John M5AJB completed some electrical constriction kits with the scouts and cubs. The Cub and Scouts who attended this years JOTA all enjoyed themselves even camping in the cold and windy conditions. Railways on the Air 2017. Was at the Colne Valley Railway Castle Hedingham. 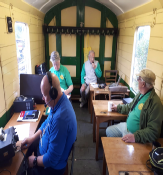 Over the weekend we operated from a former car transporter carriage next to the main railway. 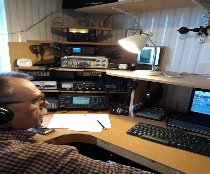 We used the call sign GB0CVR. 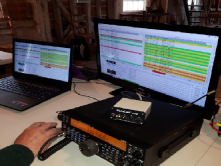 As well as using HF and 2m/70cm this year was the first time we used DMR via the local repeater GB7HA and make several contact via this mode. 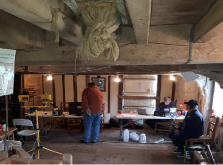 Mills on the Air was held at Alderford Mill, Alderford Street Sible Hedingham. 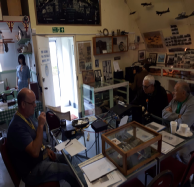 BADARS operated from the Ridgewell Air Museum on the 9th September from 11.00 with the call sign GB0RID. The Ridgewell Air Field Museum is a growing private collection celebrating the life and times of the British and American servicemen and women that were stationed here. This year Ridgewell Air Museum is celebrating 75th anniversary of the 90th (B) RAF arriving. 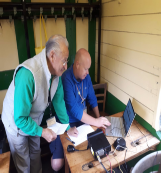 The club took part in a HF field contest on Saturday 1st September in Stisted. A big thank you to all that took part in this club event. 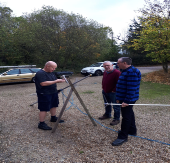 During the weekend we managed to get a few scouts and a scout leader interested in getting there own Foundation Licences. 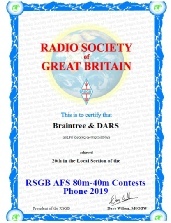 Neil M0NAS, Dean G4WQI, Edwin G0LPO and Geoff G1GNQ took part in this contest. BADARS team came 20th in the contest, this was a great result as this was the first team contest that BADARS had taken part in for many years. 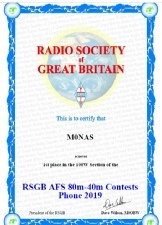 Also a big congratulation to Neil M0NAS who came 1st in the 100W section of the contest.